and awake way, and how they can serve as teachers. 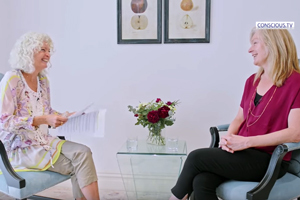 A deep and delightful exchange with Nurit and Gabor Harsanyi – about the importance of recognizing the essential nature of the feminine principle… especially in the act/non-act of shifting into awakening. ~ If you experience value in these videos your donation is warmly welcomed. The Falling Away of Self. 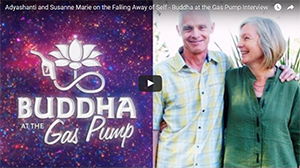 A live conversation facilitated by Rick Archer from Buddha at the Gas Pump in October 2016. Living Beyond Unity. Filmed in London, September 2018. Live Ongoing Online Drop-in Meetings Monthly. Sign up for my Newsletter if you would like to receive updates on gatherings, new content, and special offerings. If you are willing to support Susanne Marie’s work, here’s an opportunity to donate monthly through Paypal. Please choose an amount below.